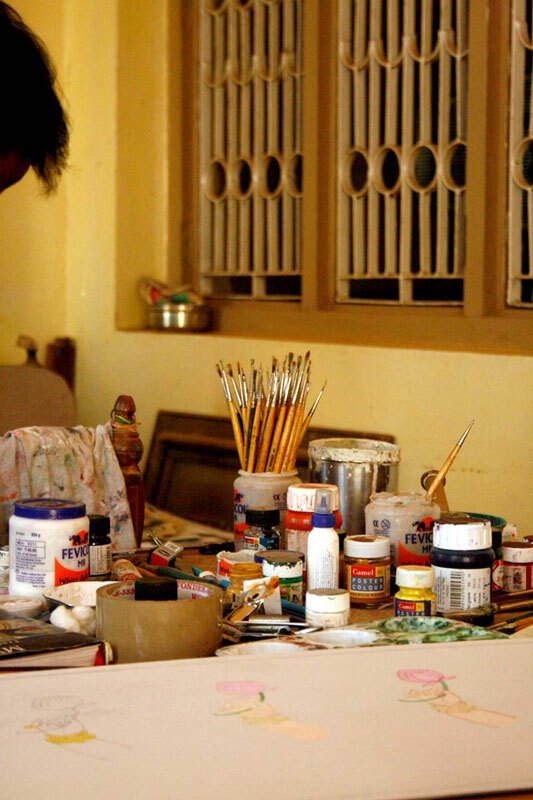 In the traditional Mysore paintings, all the inputs were made by the artists like brushes, paints, board, gold foil, etc. The sketches were made with the help of charcoal, which was prepared by burning tamarind twigs in an iron tube. 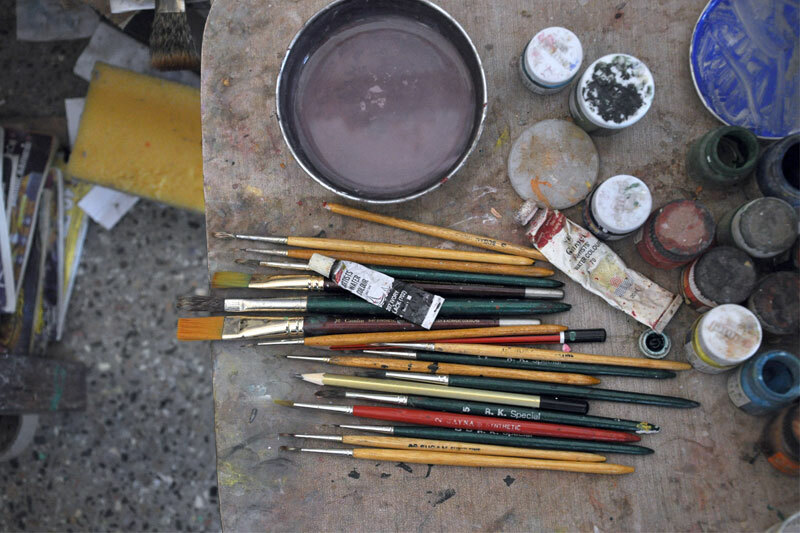 The brushes were made of different materials, like squirrel hair, camel hair, goat hair, etc. Even today the artists prefer squirrel haired brush instead of synthetic brushes because they are more durable and refined. 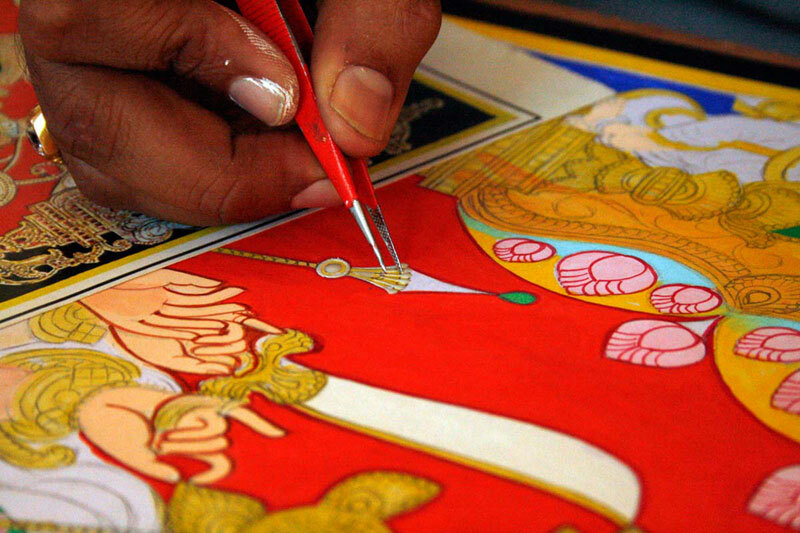 Some artists use plucker to remove the excess of gold foil. Variation exists in the procedure of mixing colors. 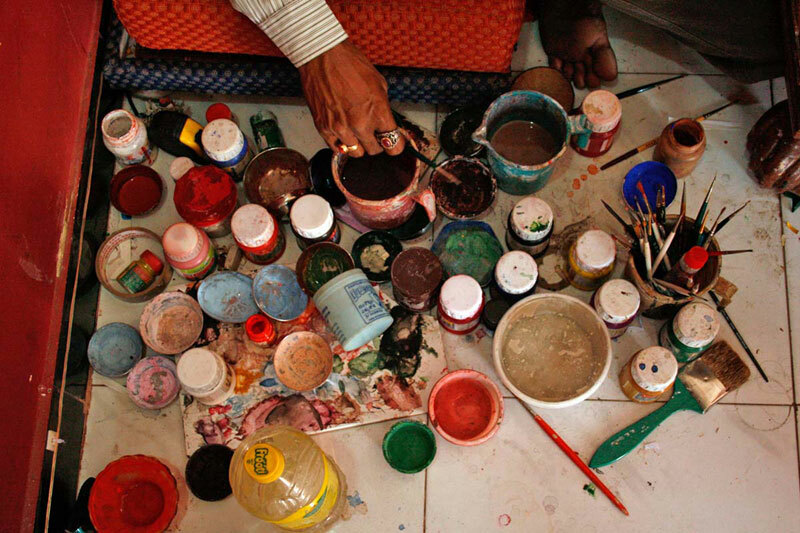 Some artists use ceramic tiles for better mixing of colors. For the background colors they use small dishes and coconut shells. They get the color in granular form and use it by mixing water. 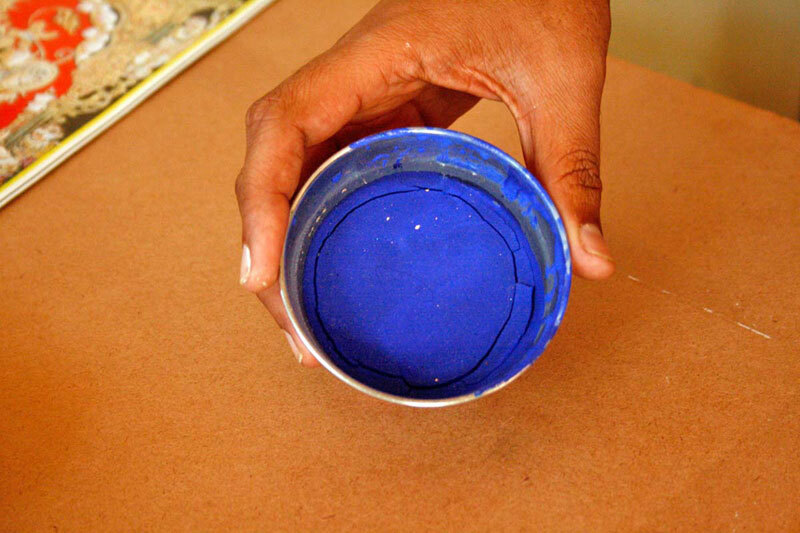 In case of poster colors they remove the excess oil from the top to achieve matte finish. 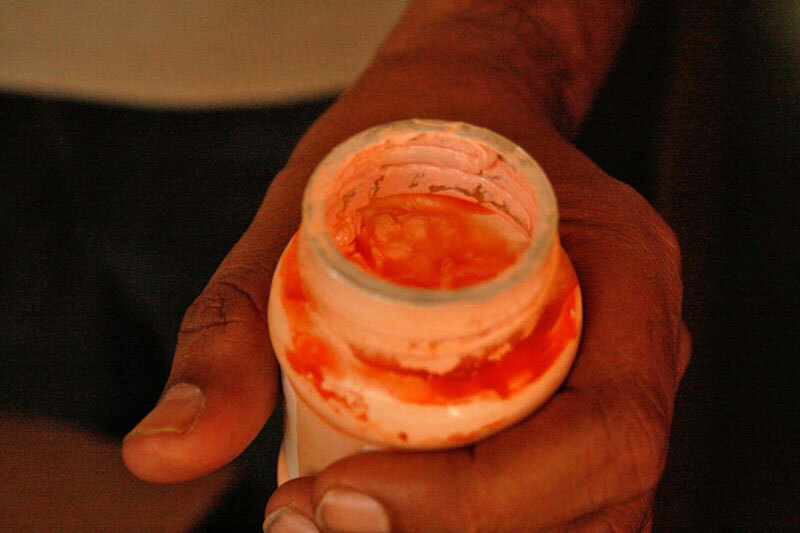 The process of making Arabic gum involves the artist gets it in granular form and then dip it in water for overnight and then filter it using muslin cloth.